Adam Whitworth, Coleen Hilbert, David Reece, Rob McKail and Antoinette Bretler with the new bus. 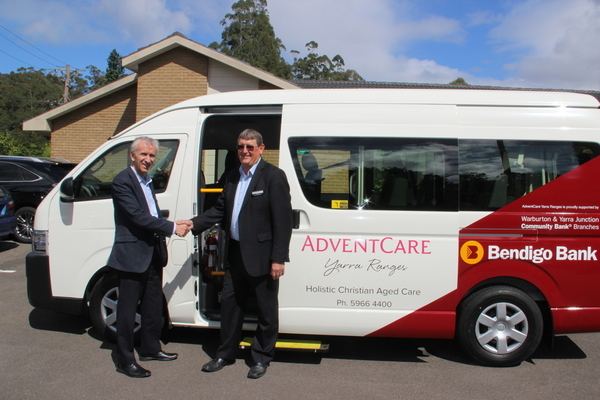 Residents of AdventCare Yarra View Nursing Home in Warburton will be easily spotted now they are riding in a shiny new bus. 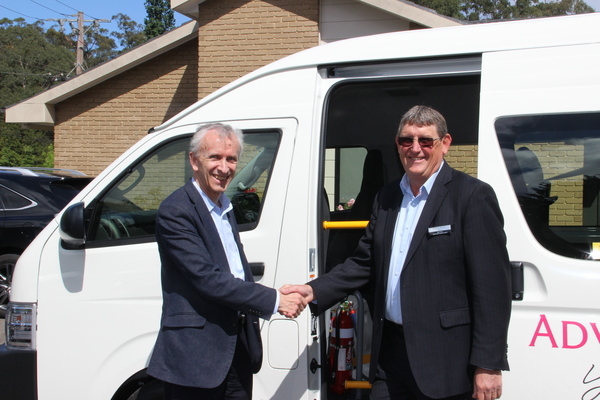 The bus was made possible by a donation from Upper Yarra Community Enterprise, the owners of the Warburton and Yarra Junction Community Banks. 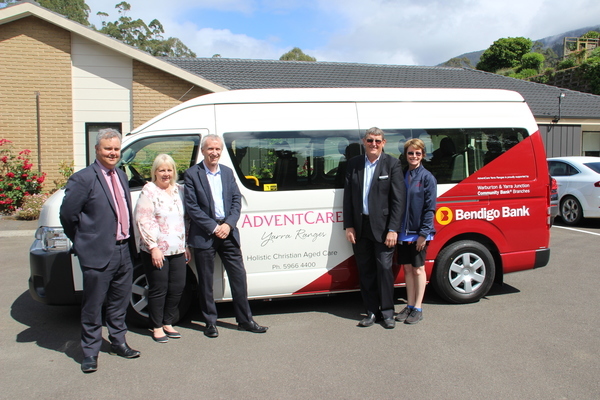 AdventCare CEO David Reece said that the relationship with the bank was an important part of their facility in Warburton. “The bank was part of saving this facility back in 2016 and have continued their support ever since,” he said. Coleen Hilbert, the centre’s facility manager said that the bus will make a huge difference to the more than 50 residents who will use it. The bus seats 12 and can be driven with a standard drivers licence, meaning it adds more flexibility and mobility to the centre, great news for activities coordinator, Antoinette Bretler, who organises the residents outings.